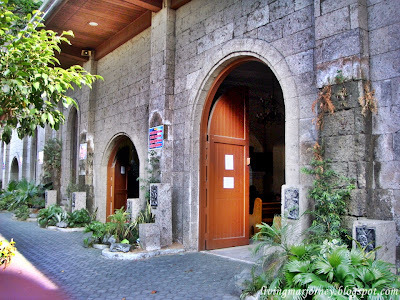 I've been staying in Sta Maria for quite sometime now, yet this is just the second time I visit the La Immaculada Concepcion Church. 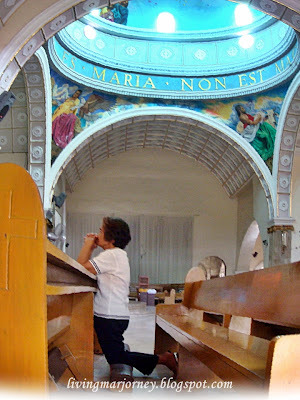 I grew up attending Sunday masses at The Shrine of Mary, Queen of Peace, I don't know why I just feel the solemnity and peace inside the shrine. 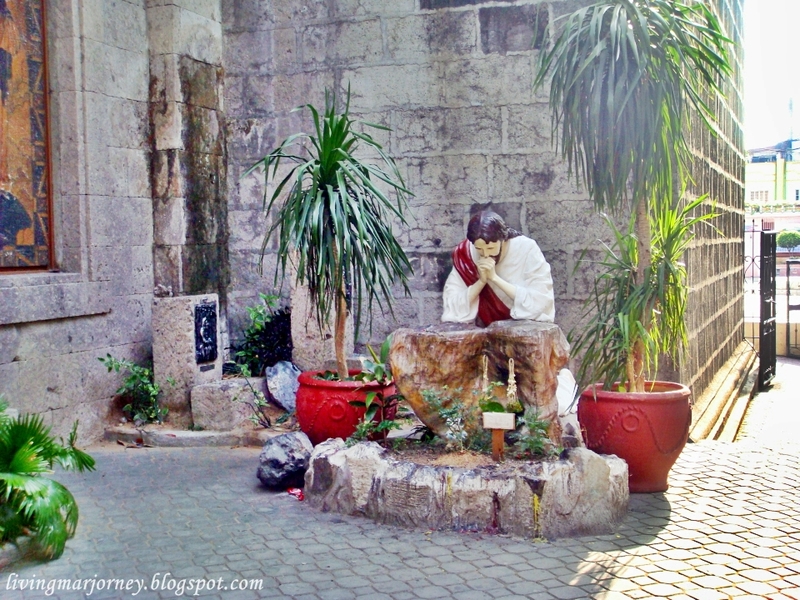 When I started living here in Sta Maria, visiting the EDSA Shrine has becoming very seldom. A newly built chapel inside the subdivision offered anticipated mass every Saturday at 6pm. Since then, I decided to attend celebration of the mass here. 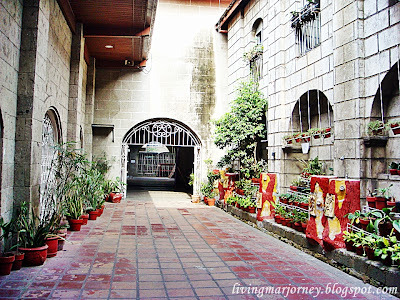 I haven't explore Sta Maria that much and I am thinking of doing it in the future. 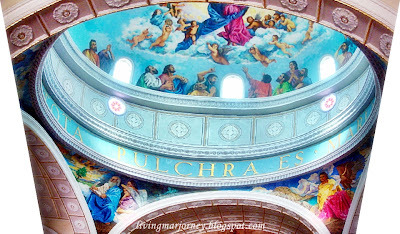 Aside from resorts and local products (Chicharon, Pastillas, Sweet Preserves) the town of Sta Maria, Bulacan has an old, remodeled church located in Poblacion. Parish Church of La Immaculada Concepcion is also know as the Church of Pandi. 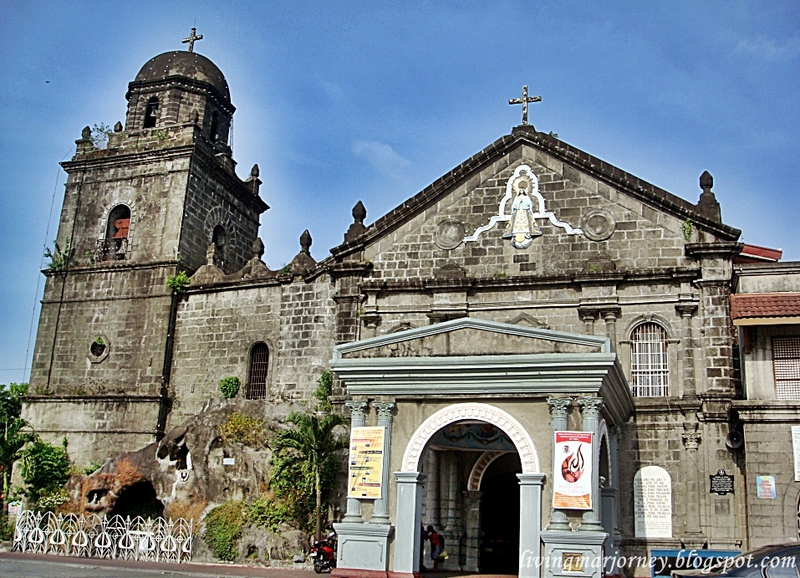 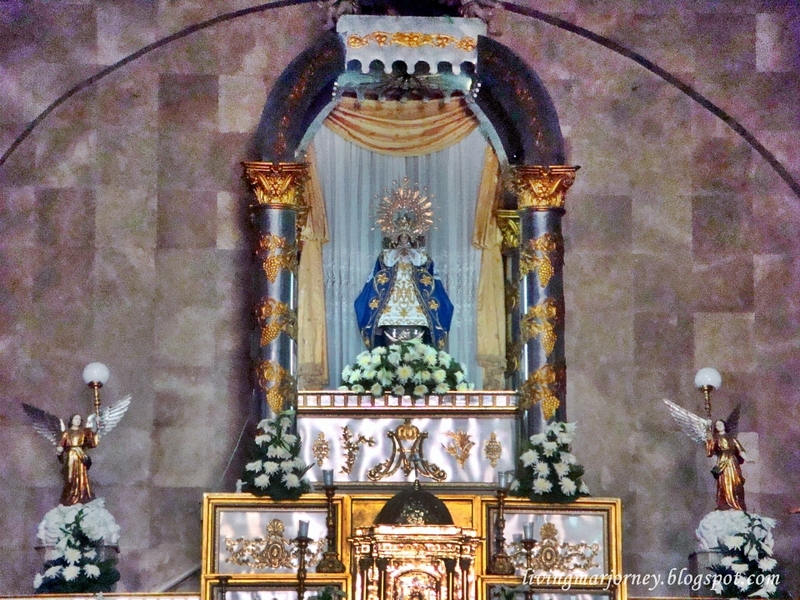 La Immaculada Concepcion Parish Church was built in 1613 and was destroyed during the Chinese uprising in 1639. 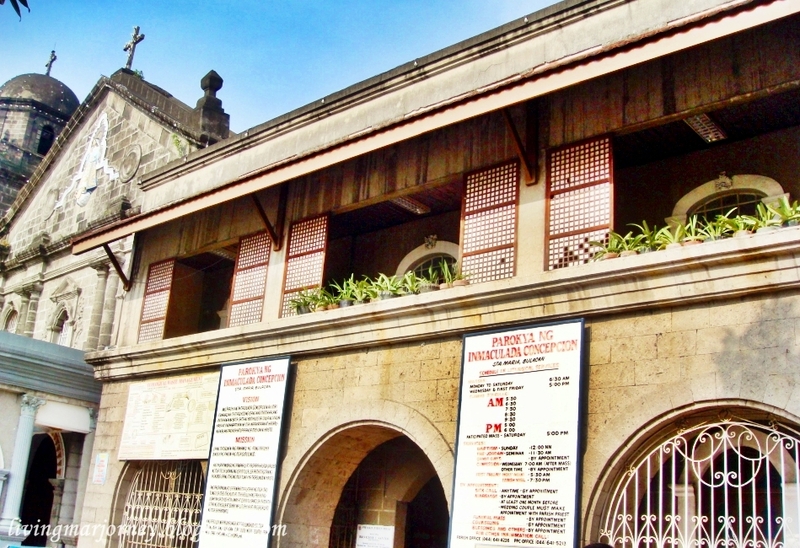 It was rebuilt and completed in 1669. 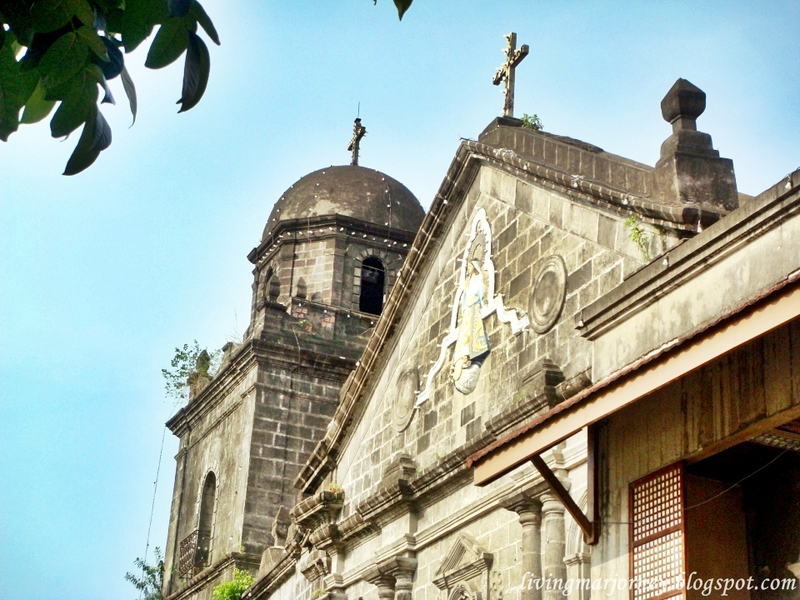 Church of Pandi was founded on 1792. The earthquake of 1880 damaged the church and the convent and was reconstructed in early 19th century. 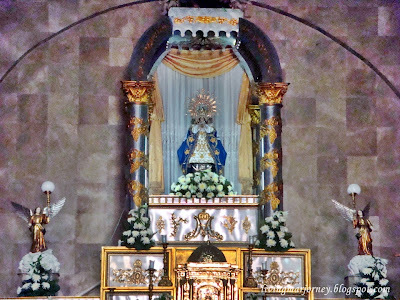 Bulakenyos come here every Sunday primarily because Sta Maria is just near the municipalities of Bocaue, Angat, Dona Remedios Trinidad, Malolos, Marilao, Meycauayan and Pandi. 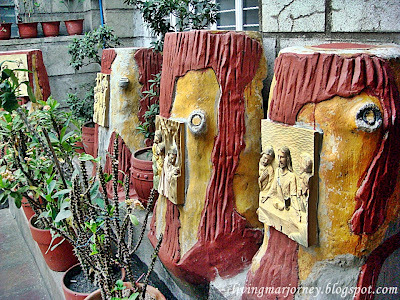 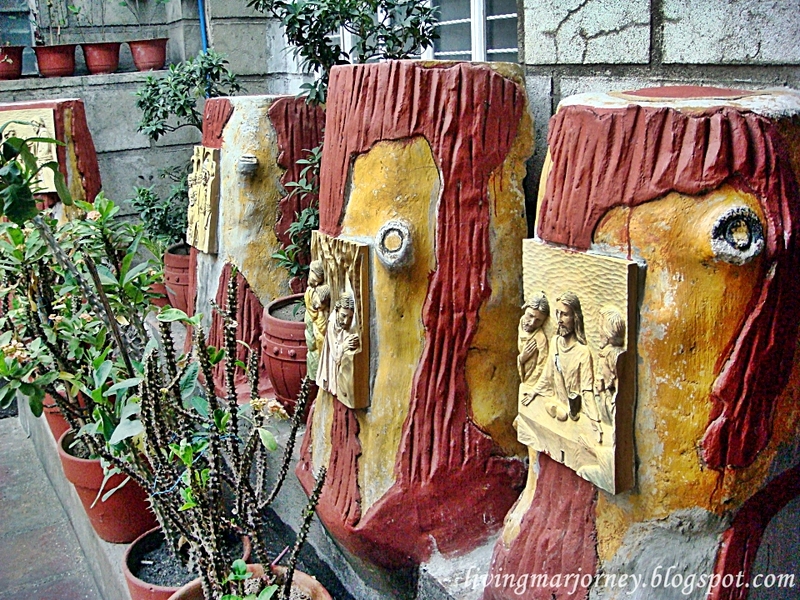 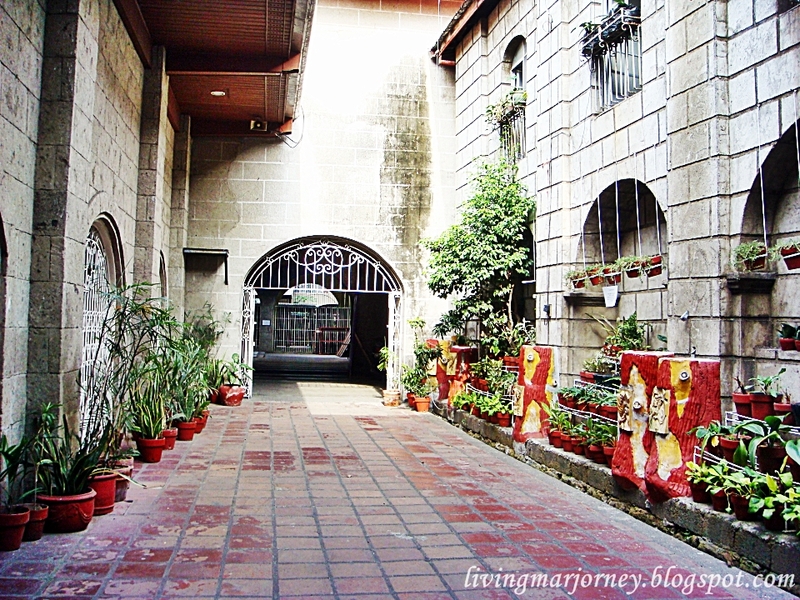 At the right side of the church is a little garden and a place for the Stations of the Cross. 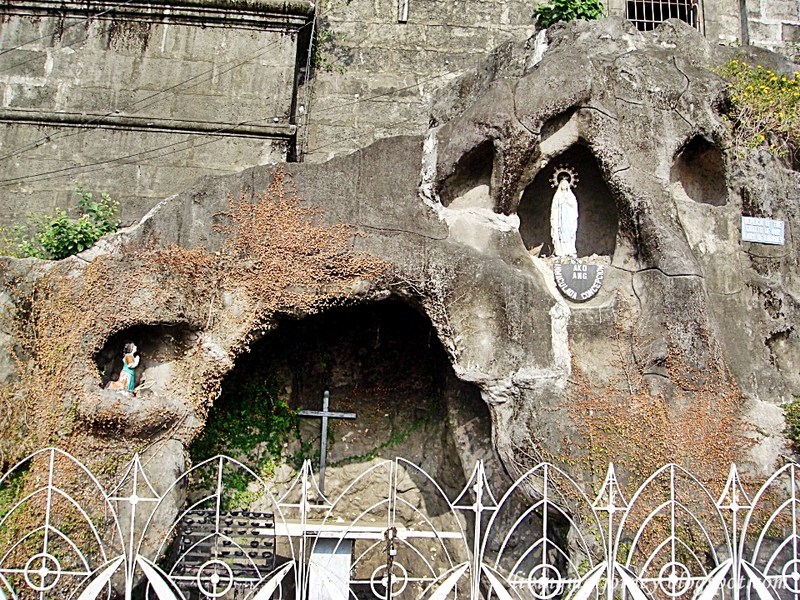 Outside is a Replica of the Grotto of Our Lady of Lourdes is situated. the church lost its antiquity with the construction of a portico on its front.